A modern steam train barrels through yet another cavernous valley of space, signs of man almost non-existent aside from a winding railroad track that is completely dwarfed by the surrounding mountains and forest. A small helicopter hovers amidst the fog above a mountain range where the landscape abruptly tears away into a harsh series of glaciers. Upon passing Suicide Glacier, we slowly come upon Mendenhall Glacier, where peppered throughout are tiny kennels and white tents that house the glacier’s inhabitants. A seaplane rests gently on a calm lake until the engine fires up, prepared to sweep a new set of passengers above the immense and seemingly endless landscape of Alaska. A vintage tour bus careens through Park Denali, a 6 million acre park, only to stumble upon another natural animal pursuit — sibling bears chasing each other over several miles. These brief descriptions are but a snapshot of my experience in Alaska over the course of two weeks in August of 2008. Though I knew Alaska would be different than previous locations I had visited, I did not anticipate the lasting impression it would have on me over the years. Alaska brings many different images to mind when one hears it: old folks on a cruise ship, ice road truckers, Sarah Palin, and an awaiting adventure provided by the monolithic landscape. The only thing that came to mind for me was equipment. Camera equipment, specifically. Armed with a Nikon D80 and a set of 3 Nikon lenses, I was determined to do one thing: take photos like my life depended on it. Upon coming home, I had a slight bout of photographer’s hangover: 3,000 pictures to sort through, and then determine the best use for these photos. Once the sorting was completed, I narrowed it down to about 250 photos. Let the editing begin. Seven months after my return, I had completed the layout for my first real published book of photography. I went the self-publishing route initially through Blurb. I had always had my artistic pursuits before, but this I knew was something special. My music theory teacher in high school actually had a good saying about this. Whenever I would show him a piece of music I wrote and asked, “so what do you think, is it good?” His response one day was succinct. “If it’s good, you will know it.” That may be a bit too cut and dry for some people, but it has always stuck with me. I’ve created a lot over the years — this was an evolutionary work for me. Those two weeks of waiting to receive the book felt like the longest of my life, each day drawing closer to seeing this physical product that was the result of so much time and effort. Unpackaging the box, feeling the slip cover and thumbing through the 110# silk paper for the first time left a permanent imprint on my mind — I had to get this out there. Over the next year, the book took on its own life and brought me to meet many interesting people, allowed me to tell the stories behind the photos, and get some real-life feedback after having been the only one looking at it for so long. Initially, people loved the book. The photos were action packed, capturing the wildlife and scenery of Alaska in such a way they had not quite seen. I ultimately ran into two roadblocks though. Self-publishing a book like this is very expensive. Cost to me was about $115 at the time given the quality and length of the book. With a $10 markup, that brought the consumer price to a staggering $125. Still, I sold close to 20 through family and friends given the high ticket price. As the book made the rounds through some publishing houses in 2009–2010, the feedback was fairly positive. But a book purely consisting of photos and no copy at that length was far too risky, especially on an unknown artist. Ultimately, it would have been too costly and require extensive reworking to get the book published. Being fresh out of college at the time and focused on my career, I decided to shelf the traditional publishing route. Still, I kept copies with me to share whenever I could. Between 2010 and 2014, I used the book primarily as a portfolio piece and a sort of “wow” factor when interviewing for jobs or with new clients. The idea of publishing a book always intrigued people, even if it was self-published. Though I had received many requests for prints over the years, it was so far in the periphery and seemingly not worth the time to manually print the photos for other people that I just let it go. That was until a year ago when I discovered an amazing print and frame on-demand service online and began posting photos there. Still, not much action. Fast forward to January of this year. It was fast approaching the 7 year mark of taking these photos and still the only thing I had to show for all my efforts was primarily the stories, an undesirably expensive photo book (now sitting at close to $200), and a set of prints online from a guy who doesn’t promote or sell photography as his primary living. There I sat at a crossroads — do I put the entire thing to bed and just move on? Or do I go out with one last fight using the skill set that I had gone to school for — film? The idea of making a film out of the photo collection came to me 4 or so years ago when I saw a tutorial on animating photos in After Effects. With the seed planted, I let it sit for a long time until early February of this year. Like a message waiting to get out that I couldn’t keep silent any longer, I sat down late one night after my wife and kids had gone to sleep and began animating the first photo using a new technique. After watching the first animation, I was immediately hooked and kicked the project into full gear. When you spend your professional career and personal life constantly giving to others (family, your employer, friends, community), there are some things that you just have to do for your own personal satisfaction. That would probably fall under the category of hobby for most, but as life gets busier, it can be easy to dismiss hobbies as something you don’t have enough time for. For me, creating is the essence of who I am, whether it lives in the hobby or professional world — I will always do it. That brings me to today. 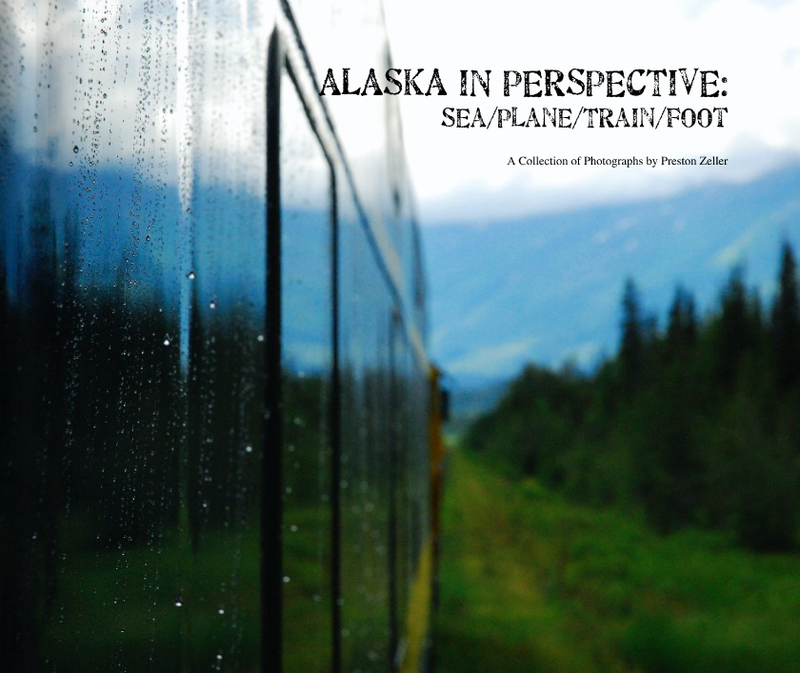 Alaska in Perspective as a project has morphed into so many things: a bonafide photo collection, a coffee table book, and now a short film, all wrapped into a website that I am darn proud of. I’m not sure if this will be the final chapter of the Alaska in Perspective project or the beginning of a whole new epoch. But whatever it is, I’m grateful for the friends, families, and strangers who have partaken along the way. In the end, it’s about telling a great story, and I hope I’ve conveyed that in this piece of the trilogy. Now sit back, turn the volume up on your speakers, expand to full screen, and click play on the Alaska in Perspective short film below. Technologist, Marketer, Designer, and Entrepreneur hailing from the great PNW.